The Council of Michigan Foundations (CMF) Board of Trustees is pleased to announce the appointment of Kyle Caldwell as the incoming president and CEO of CMF, effective November 1, 2018. He will succeed Rob Collier, who has served as president since 1999. “Rob and I look forward to introducing Kyle to CMF members at our Annual Members Meeting on October 9 as part of our 46th Annual Conference in Grand Rapids,” shared Neal Hegarty, chair, Board of Trustees. Caldwell, a Michigan native, is currently executive director of the Dorothy A. Johnson Center for Philanthropy at Grand Valley State University in Grand Rapids, one of the country’s largest academic centers for philanthropy. Caldwell was selected via a competitive process conducted by the national search firm Nonprofit Professionals Advisory Group (NPAG) and coordinated by an eight-member search committee of current and former CMF Trustees. Caldwell currently serves on the boards of the Grand Rapids Community Foundation and Kids’ Food Basket in Grand Rapids. 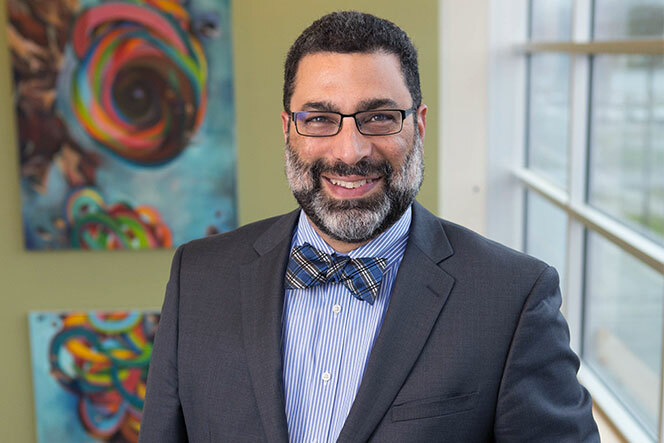 Prior to his appointment to the Johnson Center in 2015, he was director of the Pathways Out of Poverty grantmaking team at the Charles Stewart Mott Foundation in Flint. Caldwell has also served as president of the Michigan Nonprofit Association and Connect Michigan Alliance, as well as service to former Michigan Governors John Engler and Jennifer Granholm as executive director of the Michigan Community Service Commission. He holds bachelor’s and master’s degrees in organizational communications from Western Michigan University. “Kyle is familiar with CMF through our partnership with the Johnson Center and his past work at the C.S. Mott Foundation, as well as leadership of MNA and the Michigan Community Service Commission. I look forward to assisting him in November and December to ensure a seamless transition in leadership,” noted Collier.